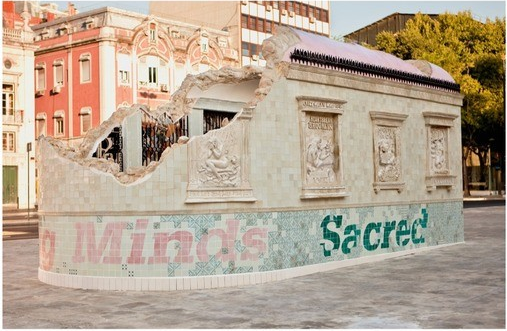 FAILE Temple presents the New York-based artists’ most complex and ambitious project to date. 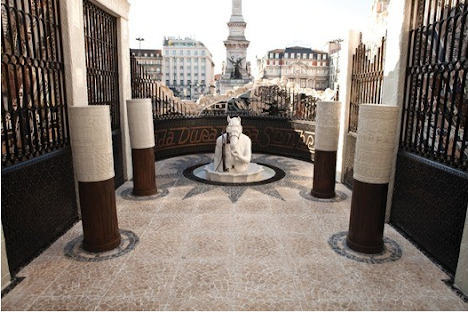 For the Portugal Arte 10 festival, they created a large-scale, temporary installation of a temple on Lisbon’s Praça de Restauradores. 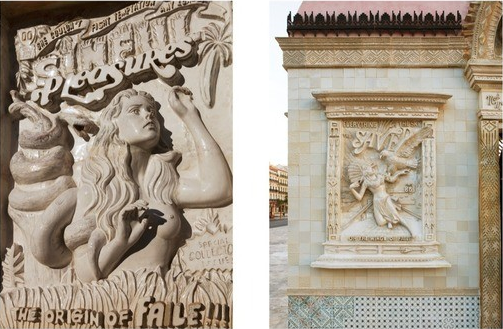 Although inspired by the ruins of a Baroque chapel, its decorative frescoes and sculptures feature familiar elements from Faile’s contemporary oeuvre. The temple project gave FAILE a unique opportunity to reinterpret and delve deeper into the core themes of their art—consumerism, globalization, and the tension between classical art and the profane. 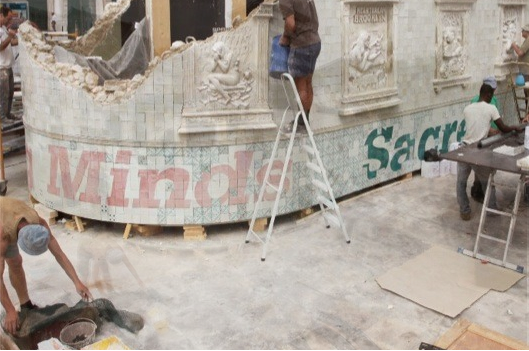 FAILE Temple not only documents the finished project in all its fascinating detail, but also features images of its construction and installation as well as pieces that inspired its design. An insightful text about FAILE’s work by the art journalist W. Ian Bourland rounds out the publication. 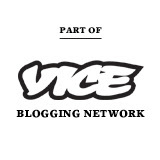 The regular edition of the book is available on the Gestalten website here. A special studio edition pictured above will be made available later today via the Faile.net site. The edition will be limited to 500 copies and will be signed by the artists as well as including a ceramic Skull/Flower Tile in a linen box. This edition is only $95 dollars which is great value considering the standard edition will retail for $55! Images via Faile and Gestalten.